Dysfunctional mitochondria cause a number of various mitochondrial diseases. Mitochondria are the organelles that are considered as the ‘powerhouse’ of the eukaryotic cells. The function of mitochondria is to convert the energy of food molecules into the Adenosine Triphosphate (ATP) that controls the most cell functions. The major reason of mitochondrial diseases is the alteration in mitochondrial DNA which adversely affects the mitochondria functions. Mitochondria are so critical to the cell functions. These mitochondrial diseases have a subclass that deals with the neuromuscular disease symptoms known as mitochondrial myopathy. 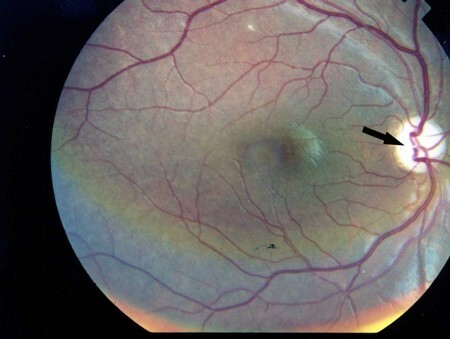 It is a sort of inherited eye disorder where a patient experiences a progressive loss of vision due to the degeneration of the optic nerves and retina. Vision loss can be spontaneous or progressive in this disorder. This disorder is more common in men than women. Kearns-Sayre Syndrome (KSS) is another example of neuromuscular disorder usually appears before the age of 20. It is not a very common disorder. It can be described as the progressive external ophthalmoplegia (paralysis of the eye muscles) and slight skeletal muscle weakness. Other symptoms may include the retinal pigmentation, hearing loss, increased cerebrospinal fluid protein, short stature, impaired cognitive dysfunction, cardiac conduction defects, diabetes, inability to coordinate voluntary movements (ataxia) and certain other endocrine disorders. It is a slow progressive paralysis of the external eye muscles (motor nerves of the eye). It is commonly known as PEO in medical sciences. It is mainly caused by the mitochondrial myopathy. Progressive Myoclonus epilepsy (PME) is a group of diseases caused by the myoclonus, epileptic seizures. The major symptoms include trouble walking or speaking. Though, rare in nature, these symptoms can get worse and are fatal. Studies have revealed three different forms of PME. The first one is the lafora disease that is inherited as an autosomal recessive disorder which means that the disorder occurs when a child inherits two defective copies of gene, one from each parent. The second group of PME diseases relate to the cerebral storage disease that cause myoclonus, dementia, dystonia, visual problems. The third group of PME diseases involves the class of system degenerations with the symptoms of myoclonus, problems with walking and balance and seizure. Most of the PME diseases appear in the childhood or adolescence. MELAS is known to be associated with the mitochondrial cytopathies. It is given this name for the first time in 1984. It is the acronym of mitochondrial encephalomyopathy, lactic acidosis, and stroke-like episodes (MELAS). The major cause behind this disease is the defect in the mitochondrial genome, inherited purely from the female parent. MELAS is common in both the sexes. Pearson syndrome is another mitochondrial disease caused by sideroblastic anemia and exocrine pancreas dysfunction. Pearson syndrome is very fatal in infancy. He who survives the attack of the Pearson’s syndrome often fall victim of Kearns-Sayre syndrome in adulthood. Pearson syndrome is very rare and hardly one hundred cases have yet been reported worldwide. The main factor causing this syndrome is the deletion in mitochondrial DNA. It was given the name of Pearson syndrome in 1979 as it was first described by the Pearson. 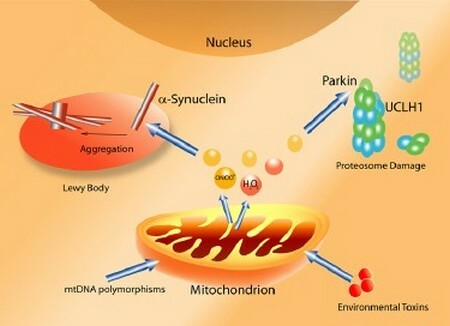 Parkinson’s disease is often linked with the mitochondrial defects. It is a progressive, chronic and degenerative brain disorder associated with tremors, slowed movements, and muscle rigidity. It is considered as the genetic defect in which an enzyme deficiency (ATP synthetase) upsets the cellular processes. The deficiency of enzyme may leads to number of various symptoms and conditions such as NARP (neuropathy, ataxia, and retinitis pigmentosa), Leber’s myopathy, and cardiomyopathy and Leigh syndrome. Another mitochondrial disease is the deafness or inherited hearing loss. This disease is caused due to the minor changes in mitochondrial DNA. 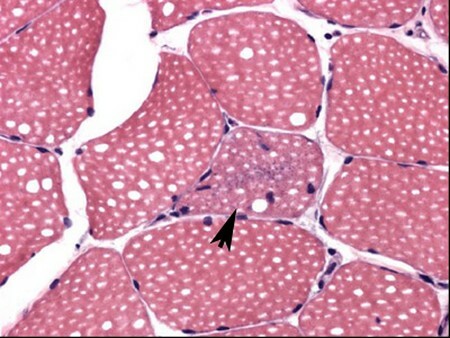 FRDA or Friedreich’s ataxia is considered as a rare inherited mitochondrial disease which causes progressive loss of voluntary muscular coordination (ataxia) and heart enlargement. A German doctor, Nikolaus Friedreich described the disease in 1863 and is therefore given the name after him. This disease is common in children of both sexes. Barth syndrome is a rare genetic disease in which body cells stop making sufficient energy required to perform different functions, as a result 3-methylglutaconic acid accumulates in the body. Its Type 2 is known to affect the heart. It is an inherited carbohydrate metabolism disorder in which a deficiency of pyruvate dehydrogenase causes the metabolic acidosis and mental retardation along with other neurological symptoms. Stress and high consumption of carbohydrate rich meals can intensify the condition. 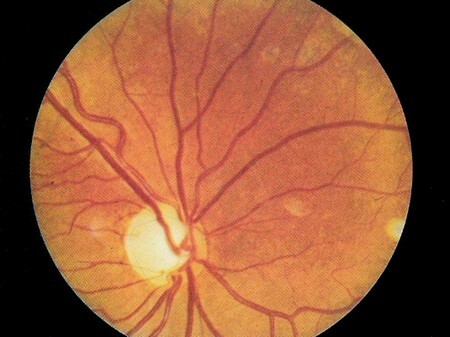 The major symptoms of this syndrome are diabetes mellitus, deafness, diabetes insipidus and optic atrophy. Type II is pretty much similar to the Type I but diabetes insipidus is very rare in Type II. However, the patient can develop gastrointestinal problems. Type II disease is caused due to the genetic defect. It is also known as DIDMOAD, abbreviated from diabetes insipidus, diabetes mellitus, optic atrophy and deafness. The disease has a major impact on the brain (brain stem) and the central nervous system. It is a rare genetic disorder described for the first time by Dr. Don J. Wolfram, M.D. in 1938. It was diagnosed in four siblings by Dr. Job J. Wolfram. This syndrome was first described by a British psychiatrist, Denis Archibald Leigh in 1951. So, it was named after this psychiatrist. It is a progressive, rare, neurological disorder caused by a systematic deficiency of the cytochrome C oxidase enzyme. The major symptoms include the degeneration of the brain and impaired function of various other body organs. This sort of syndrome is inherited from the mother. This is why it is called maternally inherited Leigh syndrome. It is a rare phenomenon which is associated with the degeneration of brain and impaired function of various body organs.